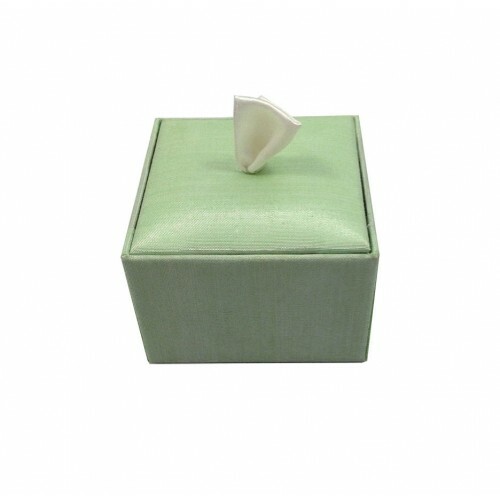 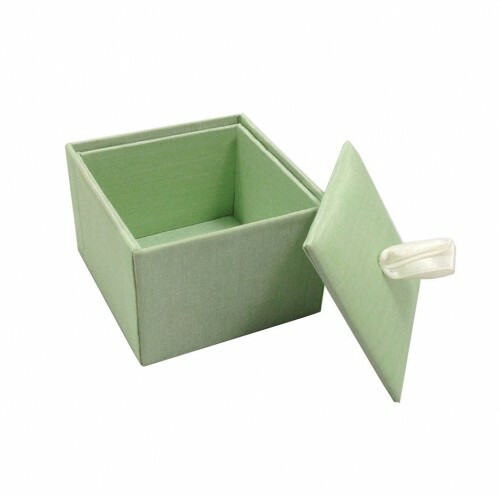 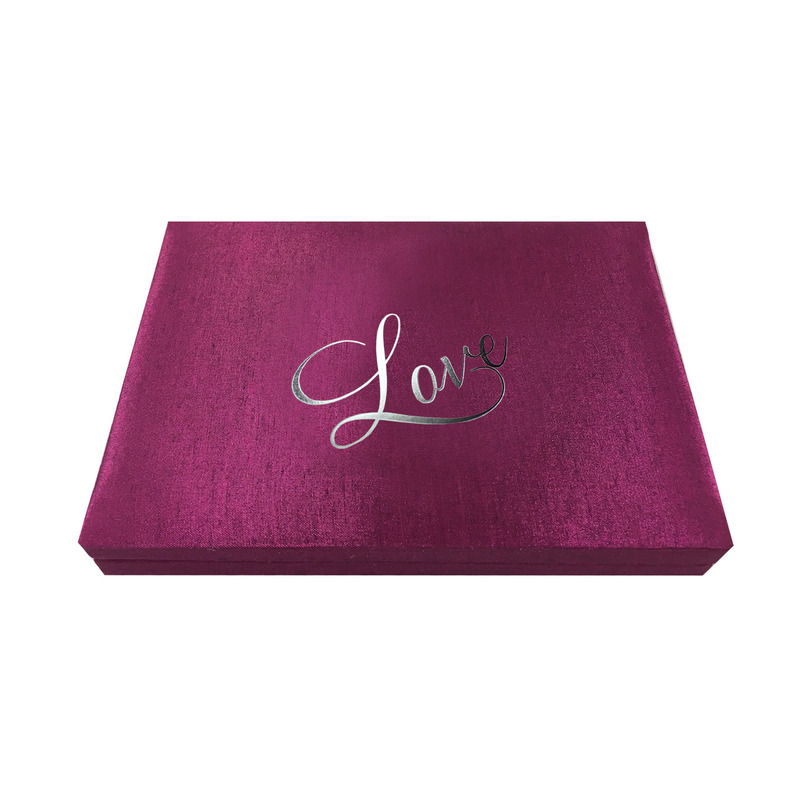 Our cute little favor boxes are the perfect give away during weddings, corporate events or baby shower parties. 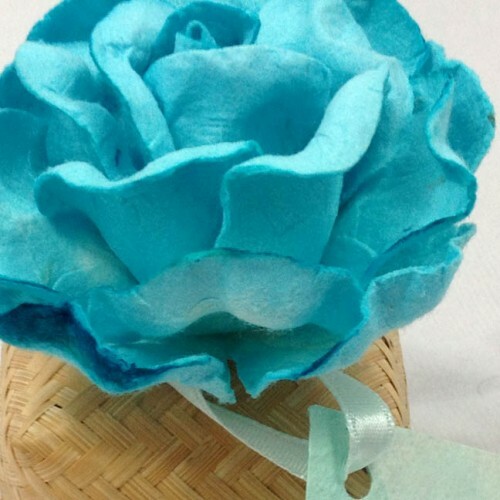 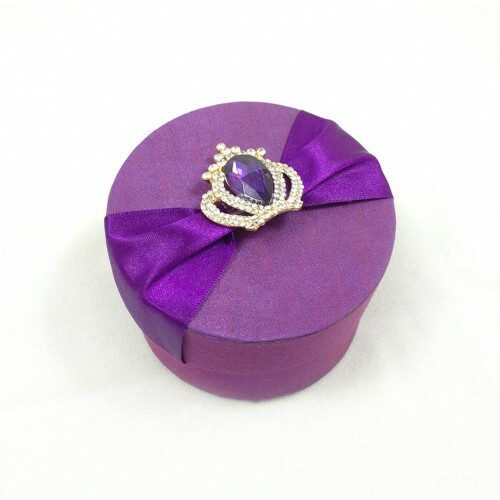 Handmade silk box for wedding or baby shower favor. 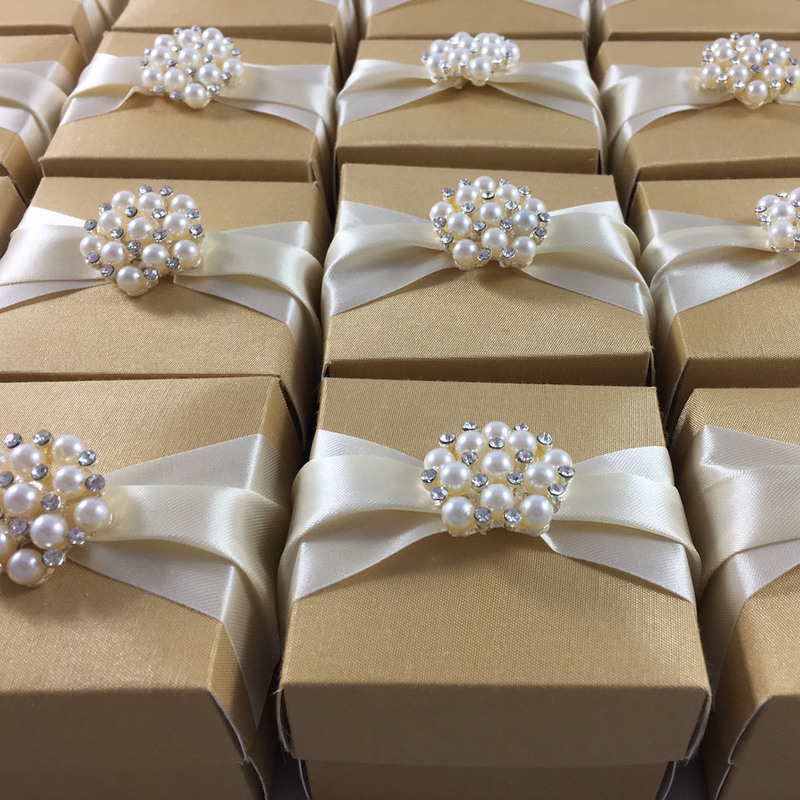 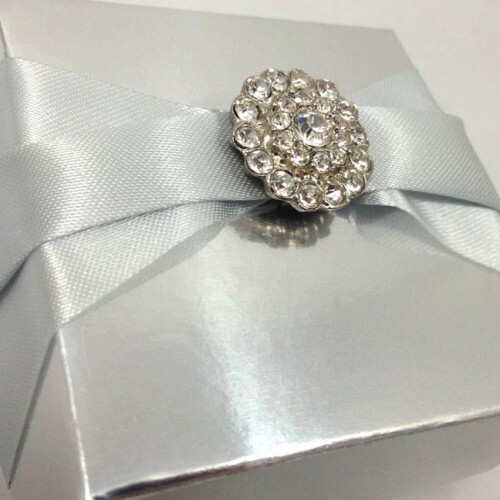 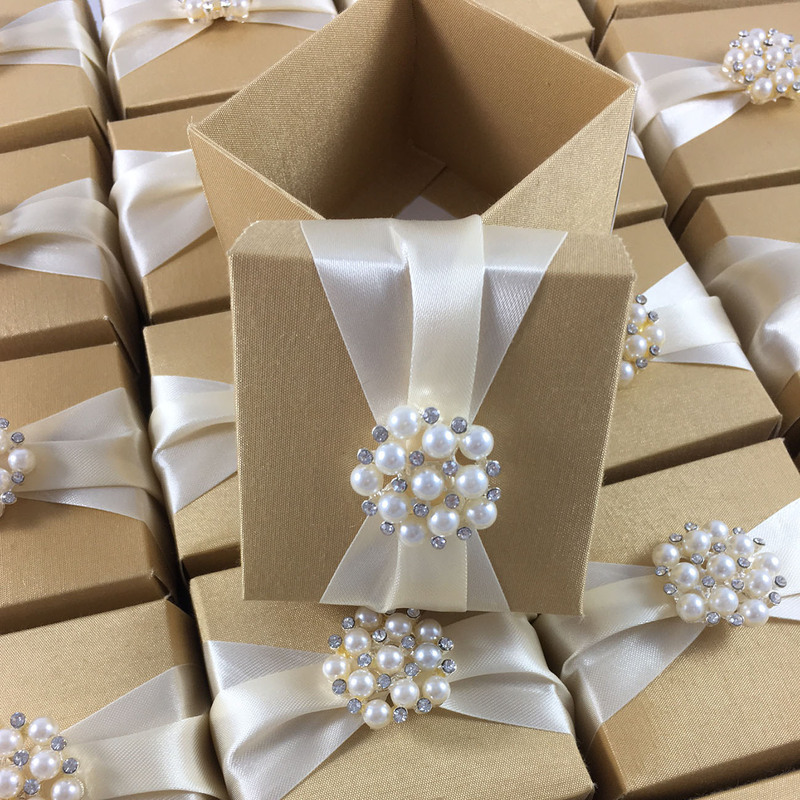 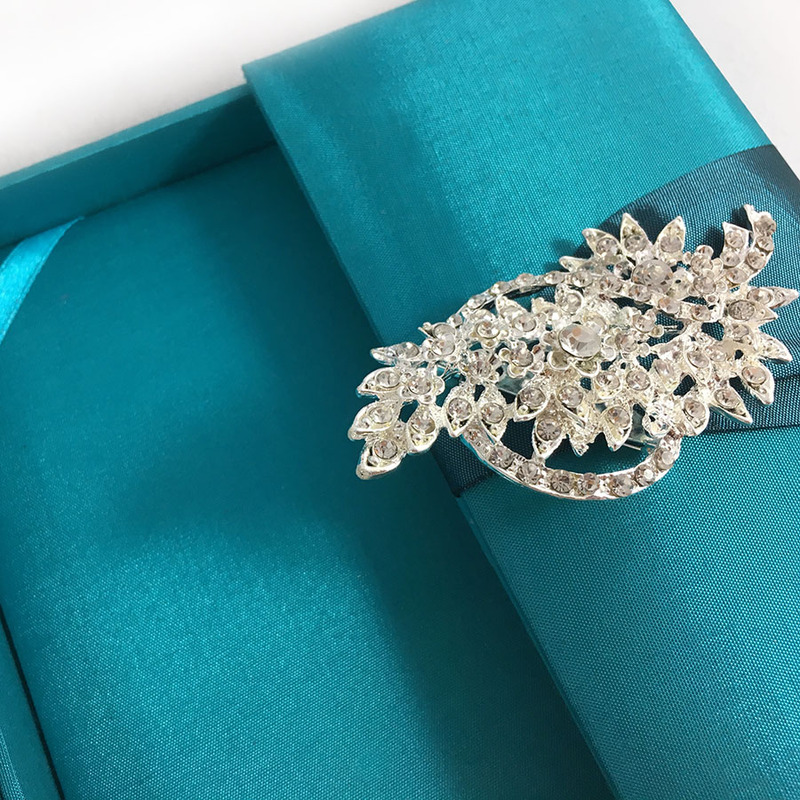 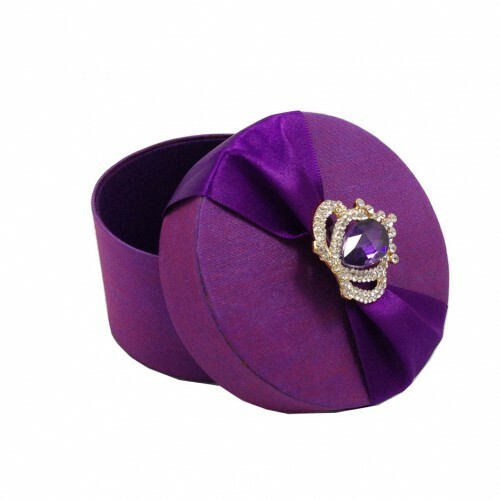 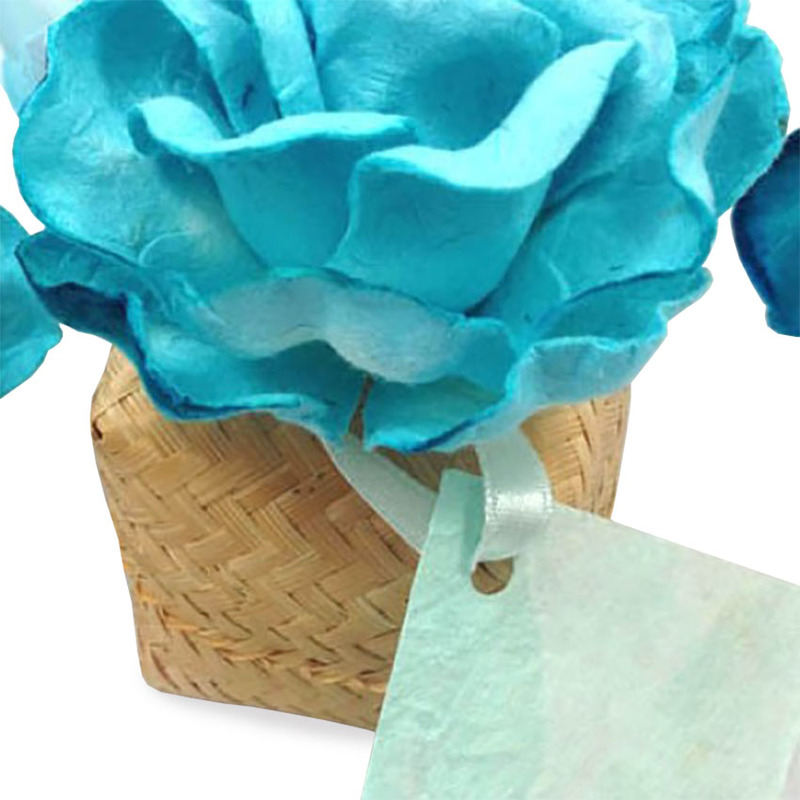 Our favor boxes come embellished with pearl brooches and two inches ribbon. 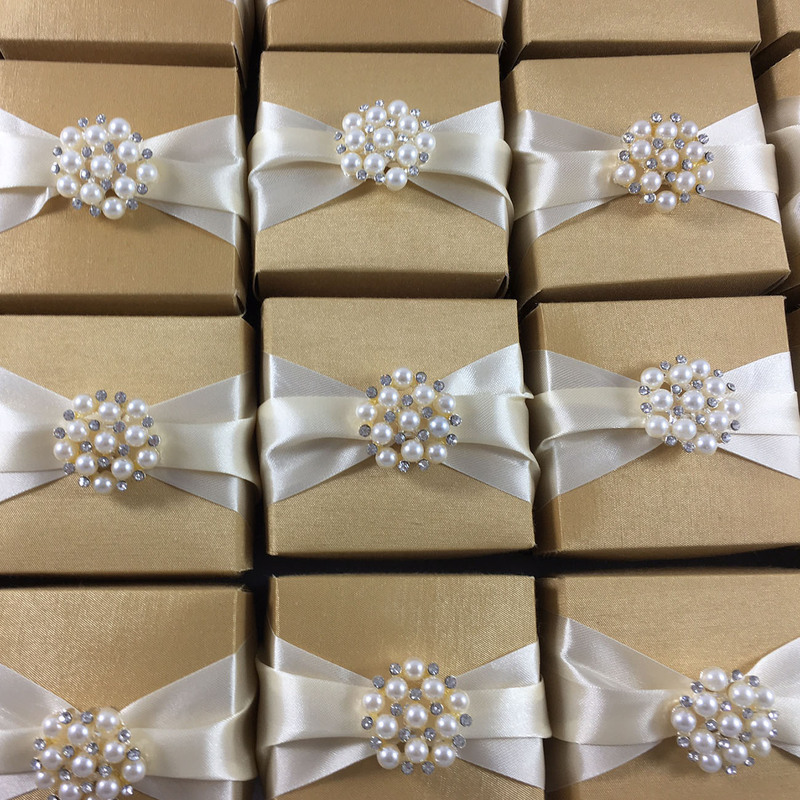 Each box measures 2.5×2.5×2 inches and can be ordered in custom size and color upon request. 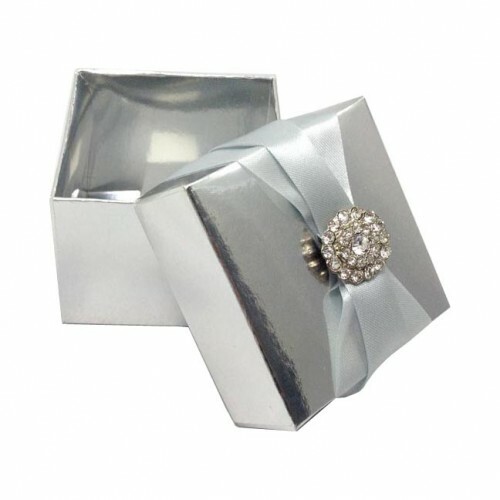 Our boxes are designed to impress your guest. 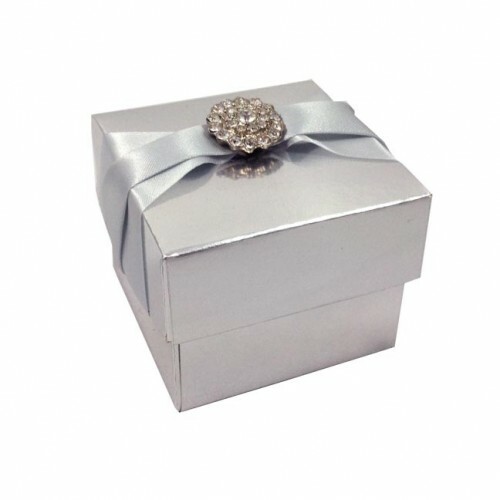 Our favor boxes can be used for various occasion and suit perfect to fill them up with candy, chocolate, key chains or other small gift items. 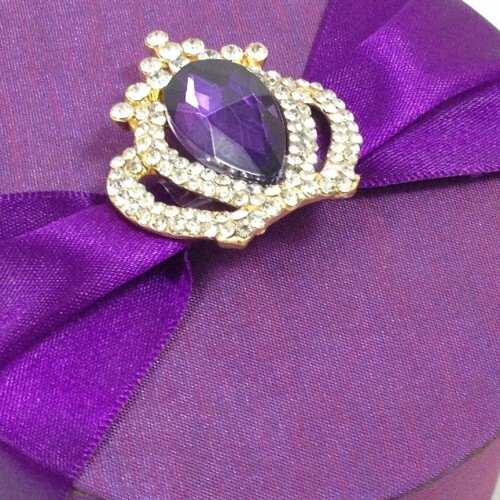 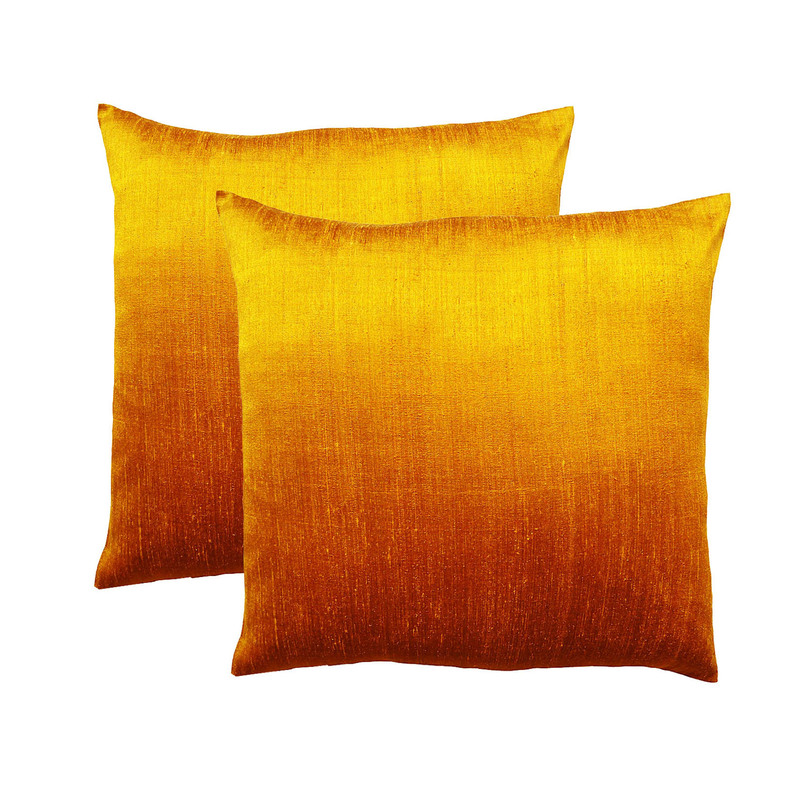 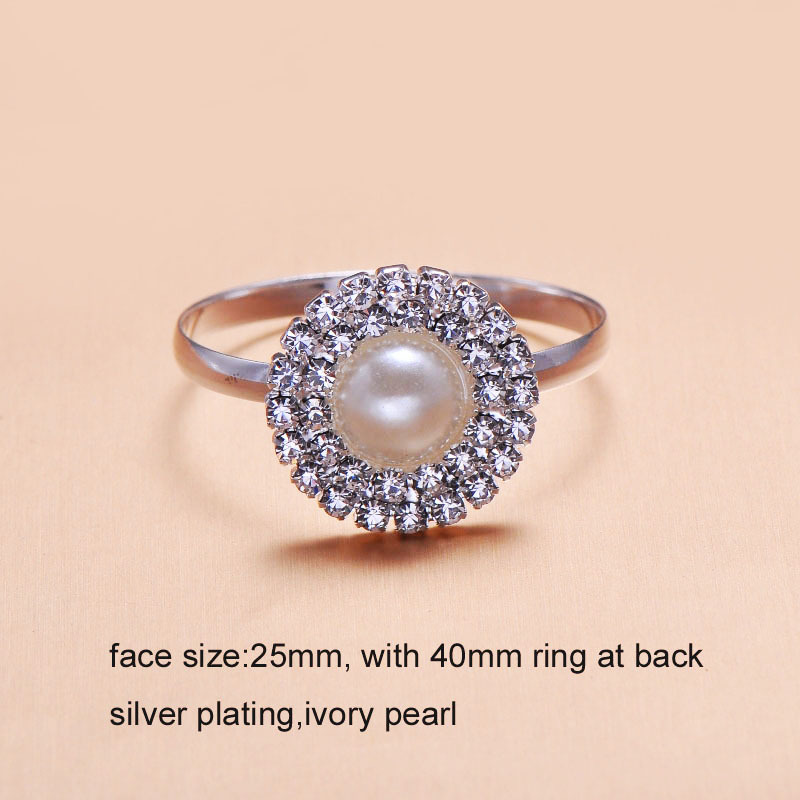 We can support you in terms of color choice and are happy to assist if you have any question regarding our designs.